Apple II introduced in April 1977 at the West Coast Computer Faire. This system has a Versa PROM burner and a Videx keypad. Features 6502 cpu, 4Kb RAM, built-in color graphics and (8) Apple II bus expansion slots. First software included Breakout and Pong. 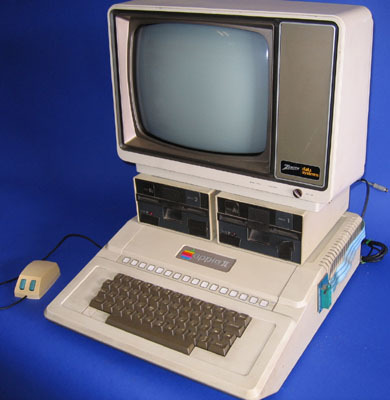 The Apple II took off and became one of the most successful computers of its time. Apple II was replaced by the Apple II Plus that shipped significantly more than the Apple II. Note: This item is no longer part of our collection as it has been sent to a new PC museum for display.